Abstract: The public security incidents were getting increasingly challenging with regard to their new features, including multi-scale mobility, multistage dynamic evolution, as well as spatiotemporal concurrency and uncertainty in the complex urban environment. 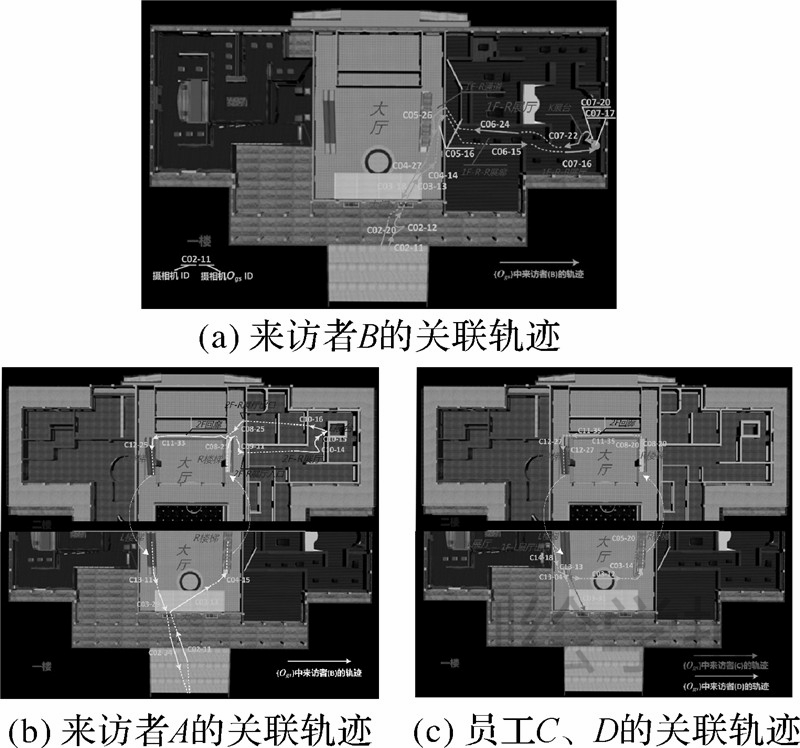 However, the existing video models, which were used/designed for independent archive or local analysis of surveillance video, have seriously inhibited emergency response to the urgent requirements.Aiming at the explicit representation of change mechanism in video, the paper proposed a novel hierarchical geovideo semantic model using UML. This model was characterized by the hierarchical representation of both data structure and semantics based on the change-oriented three domains (feature domain, process domain and event domain) instead of overall semantic description of video streaming; combining both geographical semantics and video content semantics, in support of global semantic association between multiple geovideo data. The public security incidents by video surveillance are inspected as an example to illustrate the validity of this model. BERRY J K. Capture “Where” and “When” on Video-based GIS [J]. GeoWorld, 2000, 13(9): 26-27. KIM S H, ARSLAN AY S, ZIMMERMANN R. Design and Implementation of Geo-tagged Video Search Framework[J]. Journal of Visual Communication and Image Representation, 2010, 21(8): 773-786. KIM K H, KIM S S, LEE S H, et al. The Interactive Geographic Video[C]//2003 IEEE International Geoscience and Remote Sensing Symposium: IGARSS'03. Toulouse, France: IEEE, 2003, 1: 59-61. CHRISTEL M G, OLLIGSCHLAEGER A M, HUANG Chang. Interactive Maps for a Digital Video Library [J]. IEEE Multi Media, 2000, 7(1): 60-67. NAVARRETE T. Semantic Integration of Thematic Geographic Information in a Multimedia Context [D]. Barcelona, Spain: Universitat Pompeu Fabra, 2006. LEWIS P, FOTHERINGHAM S, WINSTANLEY A. Spatial Video and GIS [J]. International Journal of Geographical Information Science, 2011, 25(5): 697-716. HWANG T H, CHOI K H, JOO I H, et al. MPEG-7 Metadata for Video-based GIS Applications[C]//IEEE International Geoscience and Remote Sensing Symposium: IGARSS'03. Toulouse, France: IEEE, 2003(6): 3641-3643. PISSINOU N, RADEV I, MAKKI K. Spatio-temporal Modeling in Video and Multimedia Geographic Information Systems [J]. GeoInformatica, 2001, 5(4): 375-409. BLOEHDORN S, PETRIDIS K, SAATHOFF C, et al. Semantic Annotation of Images and Videos for Multimedia Analysis[M]//The Semantic Web: Research and Applications. Berlin:Springer, 2005: 592-607. AGIUS H W, ANGELIDES M C. Modeling Content for Semantic-level Querying of Multimedia [J]. Multimedia Tools and Applications, 2001, 15(1): 5-37. LIN C H, LEE A H C, CHEN A L P. A Semantic Model for Video Description and Retrieval [M]//Advances in Multimedia Information Processing: PCM 2002. Berlin: Springer, 2002: 183-190. AL SAFADI L A E, GETTA J R. Semantic Modeling for Video Content-based Retrieval Systems[C]//23rd Australasian Computer Science Conference: ACSC 2000. Canberra, ACT: IEEE, 2000: 2-9. KOMPATSIARIS Y, HOBSON P. Semantic Multimedia and Ontologies [M]. London, UK: Springer-Verlag Limited, 2008. REN W, SINGH S, SINGH M, et al. State-of-the-art on Spatio-temporal Information-based Video Retrieval[J]. Pattern Recognition, 2009, 42(2): 267-282. LEW M S, SEBE N, DJERABA C, et al. Content-based Multimedia Information Retrieval: State of the Art and Challenges[J]. ACM Transactions on Multimedia Computing, Communications, and Applications (TOMCCAP), 2006, 2(1): 1-19. ZHU Xingquan, ELMAGARMID A K, XUE Xiangyang, et al. Insight Video: Toward Hierarchical Video Content Organization for Efficient Browsing, Summarization and Retrieval [J].IEEE Transactions on Multimedia, 2005, 7(4): 648-666. HORNSBY K, EGENHOFER M J. Identity-based Change: A Foundation for Spatio-temporal Knowledge Representation[J]. International Journal of Geographical Information Science, 2000, 14(3): 207-224. Acta Geodaeticaet Cartographica Sinica, 2015, 44(5): 555-562.